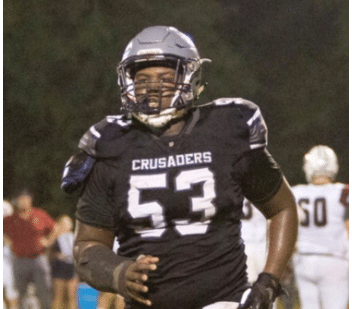 The Church Academy Crusaders are an upcoming program that are trying to get to new heights especially with a big name hire this past off-season. 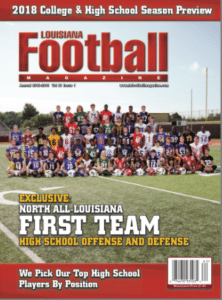 At the beginning of the year, the Crusaders hired former LSU quarterback and Southern Lab Head Coach Marcus Randall to lead the 2A program. Randall has had a lot of success not only as a player most notably throwing the famous “Bluegrass Miracle” touchdown pass against Kentucky, but he also had some success leading the Kittens to two state championship titles as a coach. Randall hopes to bring a new winning tradition to the school formerly known as Christian Life Academy. 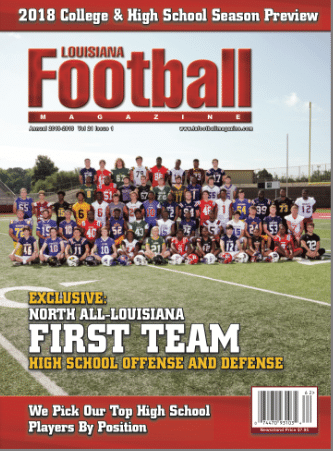 The first year was a rough one for Coach Randall and the Crusaders as the team failed to win a game in 2018 with an 0-10 record. A big reason for the struggles has been a lack of depth at the 2A level. However, there are some talented players on the roster. As far as the seniors go, there is one player that is capable of not only playing at the DI level, but even beyond. That player is senior DT Kelvin Smith. 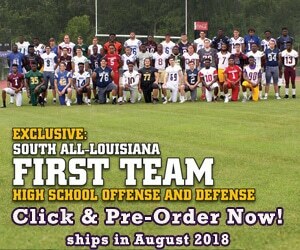 At the beginning of the season, Smith was really high on Louisiana Football Magazine’s recruiting specialist Lee Brecheen’s radar as he was selected on the preseason second team All-South Louisiana team. Now, after the season is over, Brecheen’s thoughts have not changed on the 6-2, 290 pound defensive tackle. Obviously, there is a lot of high praise from Brecheen, who has seen the McKinley High School transfer play on film. However, Smith is still searching to play at the next level. Smith was a player that could dominate games on both lines of scrimmage, and would be a huge loss for the Crusaders. This upcoming season, there will be some positives and negatives like so many other teams, but for Coach Randall and his staff, the positives will outweigh the negatives. 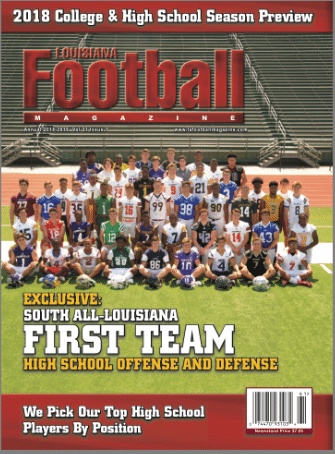 They will lose Smith on the offensive and defensive line, but the good news is that the Crusaders will return some very talented skill position players including ATH Caleb Kibodi, who is the younger brother of Texas A&M running back Jacob Kibodi. Those players will be counted on heavily during the off-season and if the Crusaders can build on some depth, this could be one of the most improved teams for the 2019 season. Next: LAFM TV Show! 13th Season! Episode 16 Now Available On YouTube!